8 weeks, 8 grand prize winners! Stand a chance to win a Samsung Galaxy S8, a Samsung Galaxy A7 or a Samsung Battery Pack each week from today until 3 September 2017! 1. Repost this contest photo from @PETRONASBrands to your Instagram account with your most creative caption inside the speech bubble. 2. 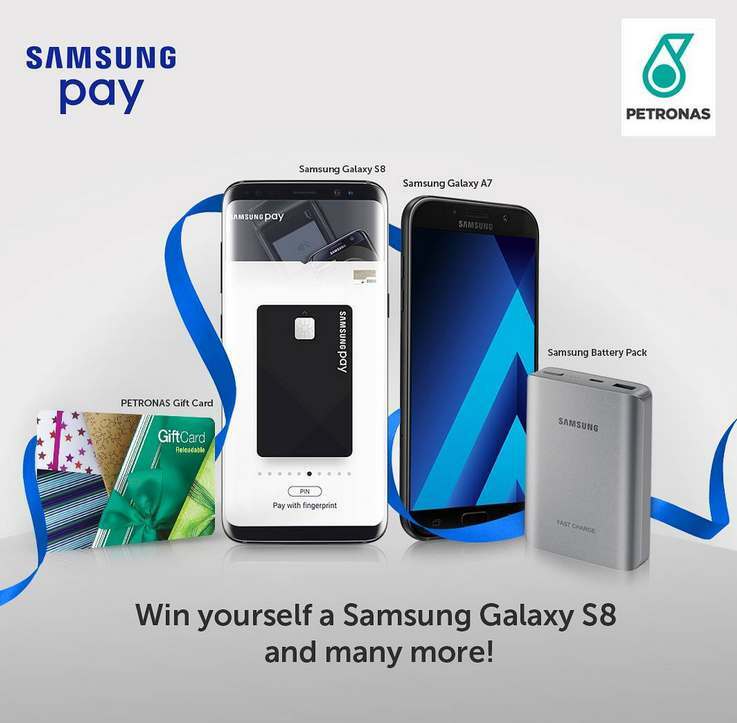 Include #SamsungPayAtPETRONAS and #MySamsungPay when you repost. Winners selection will be done every Monday, so make sure your Instagram account is set to public. 3. Tag 5 of your friends! Find out more at Petronas.